WeTip National Conference | WeTip, Inc.
YOU CAN’T AFFORD TO MISS THIS SEMINAR at the WeTip National Conference!!! 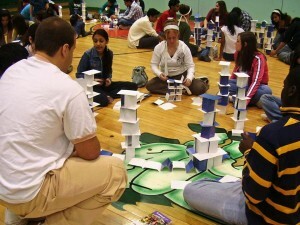 You will have the opportunity to participate in WeTip's "Tower Building--Train the Trainer" session. This activity has been performed Nationwide, teaching SRO's, Administrators, Teachers, Counselors and many others how to actively engage students to help keep their schools and communities a safer place.